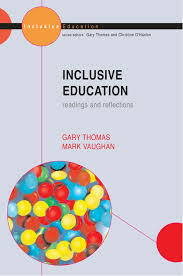 Inclusive education: Readings and reflections. 9 L.M.Dunn: Special Education - Is Much of it Justifiable? 27 Mike Oliver: Does Special Education Have a Role in the Twenty-First Century?